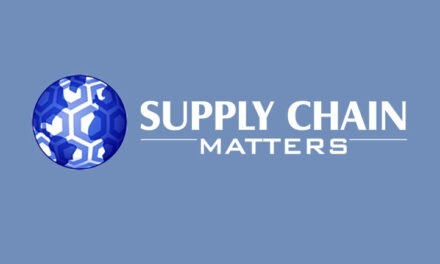 Supply Chain Matters shares some Wall Street focused drama that has occurred in the supply chain management B2B Business Network technology area. This is, to state the least, something somewhat usual to occur in supply chain tech, but then again, the market is hot and times, they are a changing. Yesterday, B2B Business Network technology provider E2open, and its private equity parent Insight Venture Partners, publicly disclosed a proposal to acquire all outstanding shares of Cloud based global trade management technology provider Amber Road that E2open does not already own for tender price of $10.50 cash per outstanding share. According to the public release, the proposal represented a 52 percent premium to Amber Road’s closing stock price on February 9th, and a 41 percent premium over to Amber Road’s 30-day average trading price. 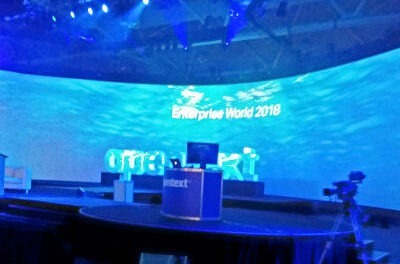 This blog has highlighted quite a series of prior successful E2open acquisitions including a merger with Cloud-based supply chain and S&OP technology provider Steelwedge in February of last year, the acquisition of Cloud channel management provider Zyme in November, and last month, the acquisition of two channel management and payment providers Birch Worldwide and Entomo. All of these activities are strategically directed at building-out increased scale and depth of the E2open business network. Amber Road provides a more significant opportunity in that it could provide the ability to compete head-to-head with Infor’s GT Nexus transportation and global trade network platform. The Amber Road statement goes on to declare that the board remains committed to considering any credible strategic alternative that maximizes the value of stockholders. As to what happens next or whether this proposed deal is ever consummated is open to speculation and ongoing events at this point. Offers can be changed or withdrawn. Existing customers of both E2open and Amber Road will have to wait this one out. Within our published 2018 Predictions related to what we believed would be a shifting of priorities of supply chain technology adoption was a belief that industry and supply chain network Clouds would accelerate in adoption. That in-turn, would fuel additional M&A activity among players to build scale and market influence. What we did not anticipate was public tenders of previously private discussions, nor of potential unfriendly takeovers. My-my, how the world of supply chain tech has become so interesting. Supply Chain Matters provides an update on the public attempts by supply chain management B2B Business Network platform provider E2open to acquire global trade management technology provider Amber Road. Today, a month after the initial public declaration, E2open disclosed another public letter sent to the Board of Directors of Amber Road. The letter affirmed E2open’s intent to engage in discussions regarding acquiring all of the outstanding shares of Amber Road for the stated price of $10.50 per share. The letter states that despite repeated outreach, E2open has not been able to establish a substantive dialogue and continues to seek engagement. E2open indicates in its new letter that he has received two separate rejection letters from Amber Road, while receiving feedback from “several” (unspecified) largest shareholders of Amber Road expressing frustration as to why Amber Road has not engaged. E2open now indicates that its willingness to engage in acquisition talks will expire on March 30, 2018. Once again, this attempted acquisition process remains very public with shades of arrogance across all parties. One must wonder, at this point, what is really occurring behind the scenes or whether counter offers are being solicited for Amber Road. As we opined in our original commentary, both existing Amber Road and E2open customers will need to wait out ultimate resolution.